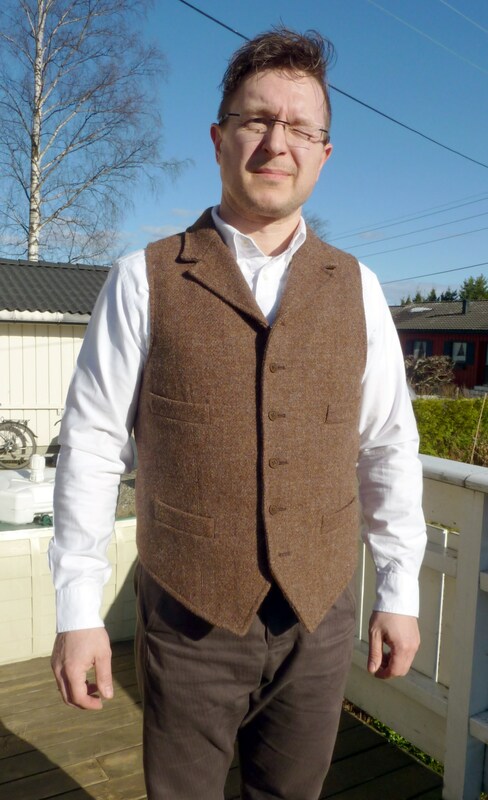 Waistcoat Wednesday: Nigel Cabourn Mallory waistcoat - Well Dressed Dad - It is a proper menswear blog. Like, with original words and opinions and suchlike. 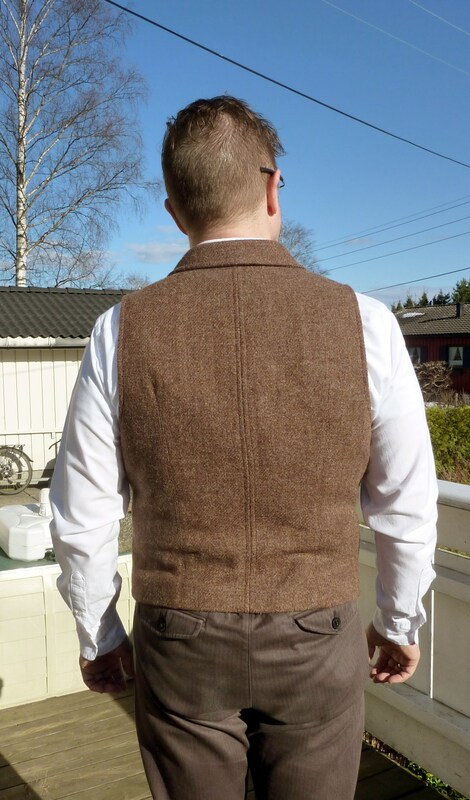 Many thanks to the two readers that have asked about when part two of my much anticipated stroll through my collection of waistcoats would be unleashed! I hadn’t forgotten, merely neglected to follow up. For those that expressed muted appreciation for part one, fear not, here is part two, and for those that were surprised at me not going straight for the tweed in the first instalment, I can now present a waistcoat in what is often considered the pinnacle of tweed, Harris Tweed. Today’s waistcoat is the Mallory by Nigel Cabourn, from the AW10 collection. Nigel Cabourn is based in Nottingham, Great Britain, and specialise in high-end, quality clothing inspired by vintage styles. I’ve previously written a piece about his Mallory jacket and waistcoat, you’ll find a link under the photos. The tweed used is a mid-brown tweed with a classic blend of colours in the weave. A classic cut, with 6 buttons (we do remember not to button the bottom button? ), 4 proper pockets on the outside, one on the inside and a quality cotton lining. A waistcoat that is made to last. 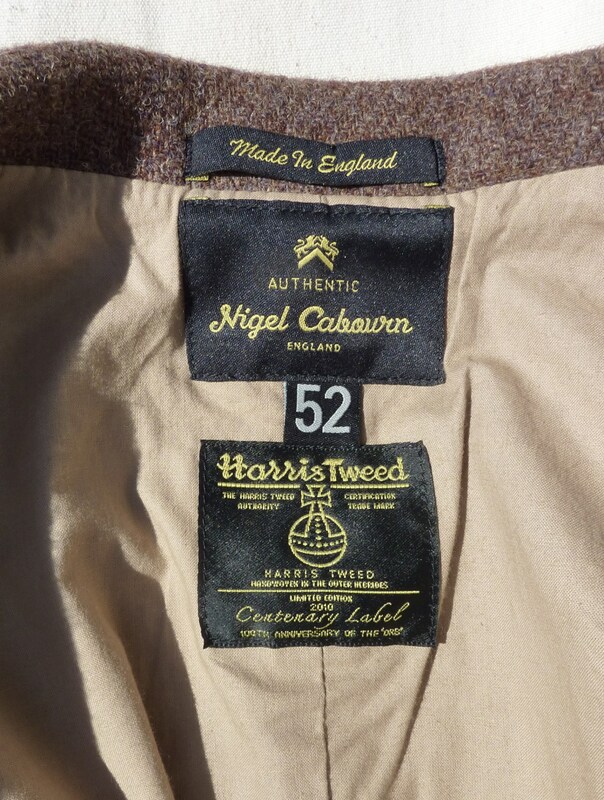 Also worth noticing is that 2010 was the 100 year anniversary of the Harris Tweed “Orb” symbol, which is celebrated with a special label inside the lining. Given how dense and warm the tweed is, this makes a useful item for layering up to keep the cold out during Spring and Autumn. In case anyone is wondering, the trousers I’m wearing are “Sverre”, by Hansen Garments. ARN Mercantile, let’s play shop! Be inspired and join in the fun next week. How many Instagrams to a kilogram?